This Freezer Meals-Crock Pot Chicken Chili Mac is so good that I made up a couple of batches and have them frozen and ready for dinner anytime. 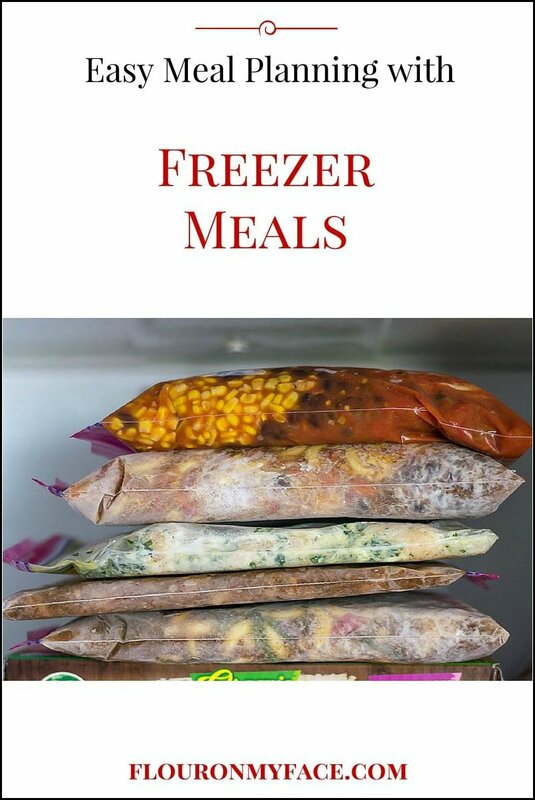 I’m sure by now you pretty much know how easy it is to make a Crock Pot Freezer Meal recipe. It’s pretty much dump the ingredients into a ziplock bag and freeze. Some recipes have more instructions when it comes to cooking time. This Freezer Meals-Crock Pot Chicken Chili Mac recipe will need to have the macaroni added to the crock pot after it has cooked for a couple of hours. I’ve found that if you add the uncooked macaroni to the freezer bag and dump it in the crock pot to cook the macaroni is mushy. Mushy macaroni grosses me out. Place the first 7 ingredients into a gallon size ziplock bag. Place the bag on a cookie sheet and freeze flat. Save the macaroni for when cooking the chili in a crock pot. Sprinkle each serving with shredded cheese. For directions on cooking the Crock Pot Chicken Chili Mac head over to the recipe. 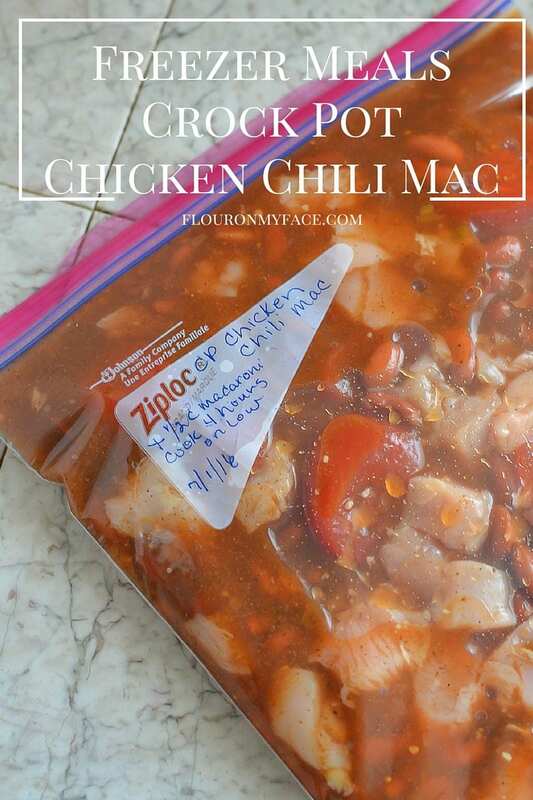 For more Freezer Meal recipes like this Crock Pot Chicken Chili Mac recipe head over to my Freezer Meals recipe page. 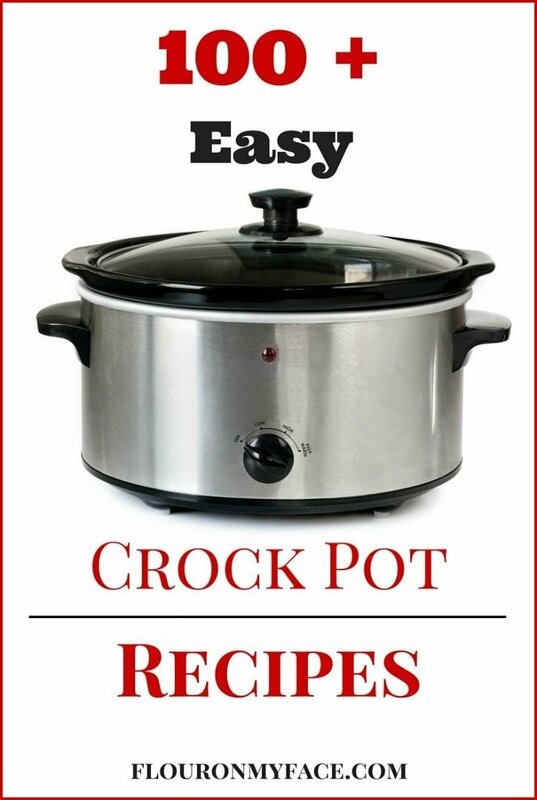 For more crock pot recipes head over to my crock pot recipe page where you will find over 100 Crock Pot Recipes.